One of the best places to see old maps of Cumbria and the Lake District is to visit www.lakesguides.co.uk/html/lakemenu.htm - a fantastic resource of maps, photos and other interesting snippets. 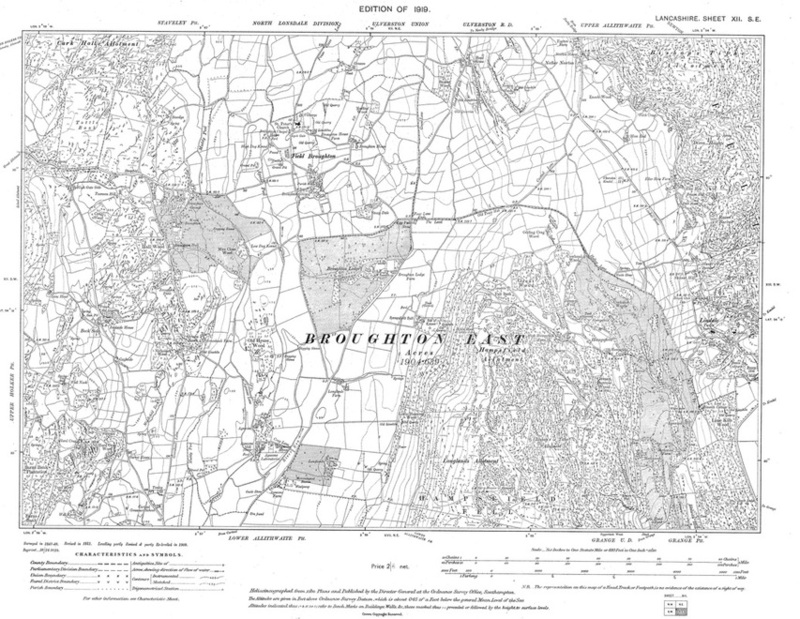 Quite a few of the maps below are from here. 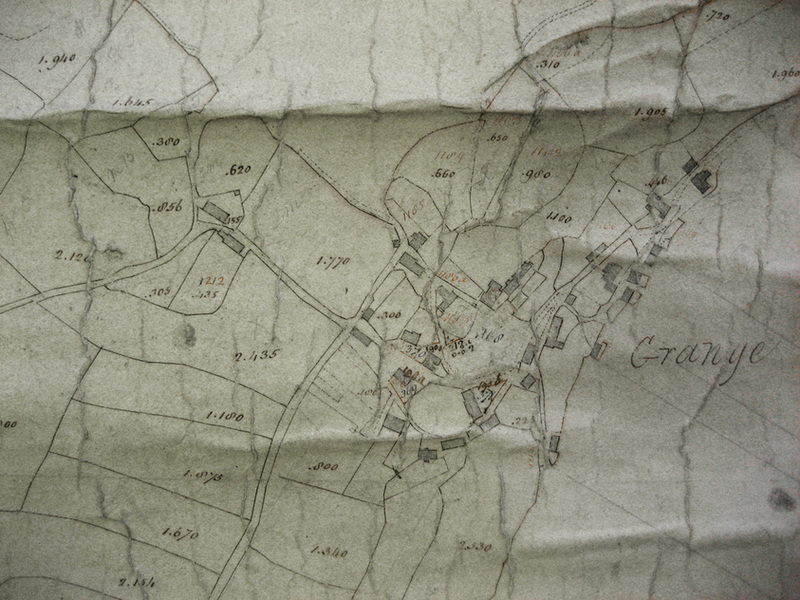 One of the very first maps of Grange itself - drawn as part of the Enclosure Process for Hampsfield Fell and the Cartmel Fell Parish. The original can be seen in Kendal Record Office. 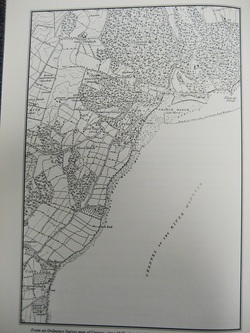 This section just shows the centre of Grange, the original is much larger and covers the whole of the modern parish. Broughton Township - Cartmel Enclosure Award. 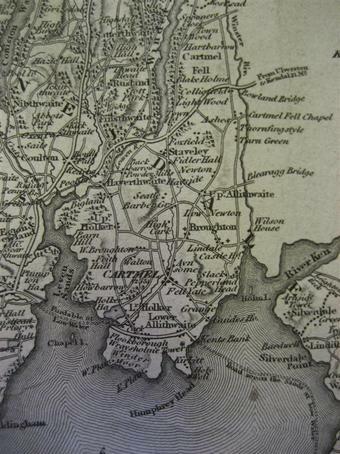 The remaining unenclosed lands within the large Cartmel Parish were enclosed under an Act of Parliament in 1796. 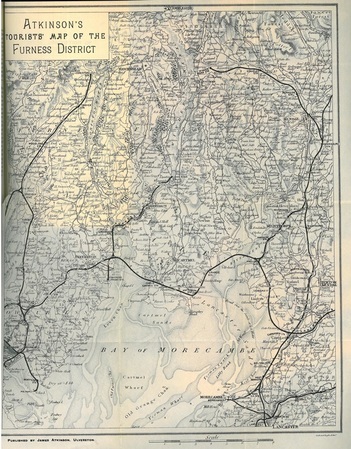 The document exists in the record offices in Preston and Kendal. 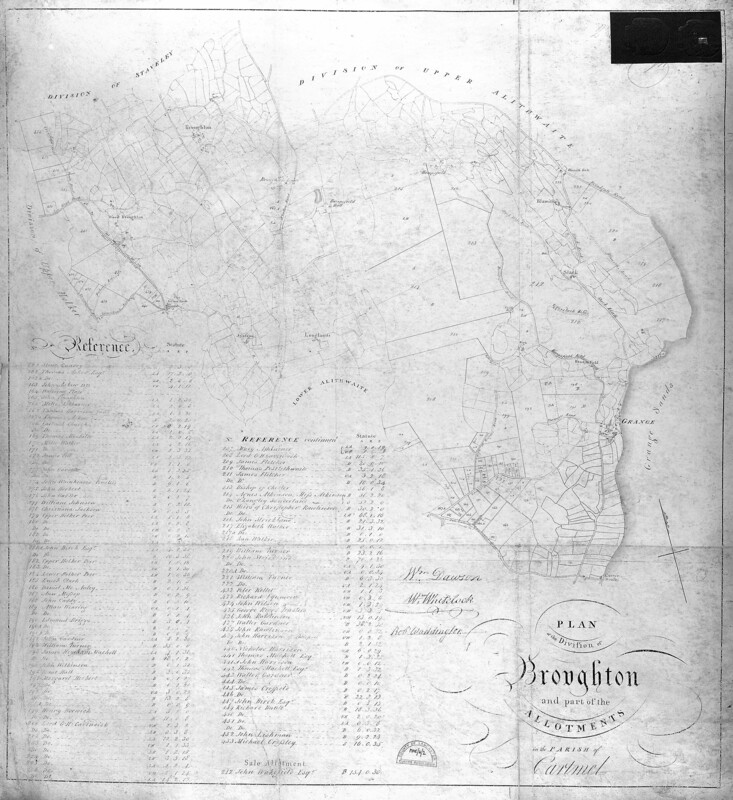 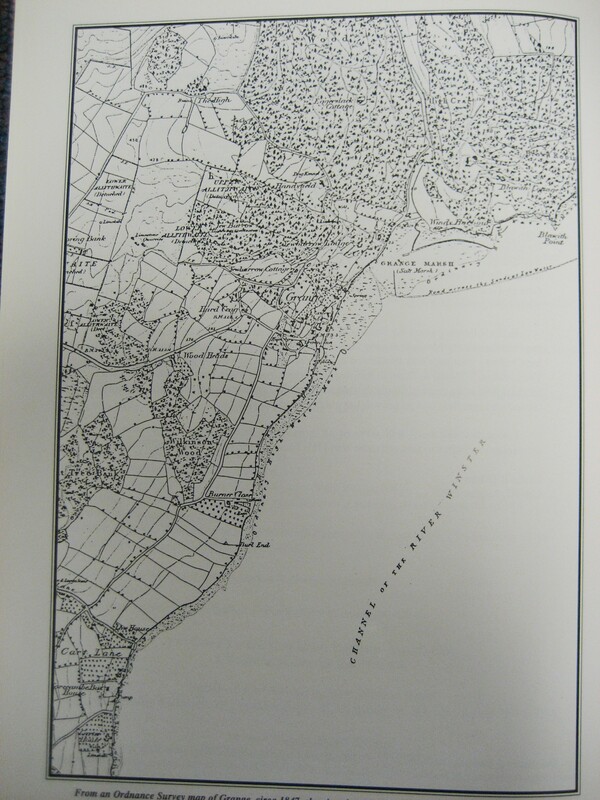 The map here is the one for Broughton Township (see history page) and is the copy held at Preston. 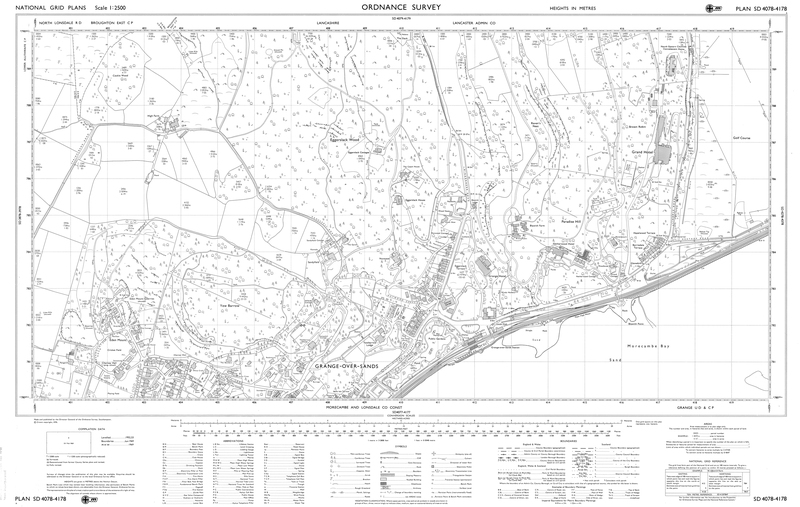 Click the map to see an enlarged version. "Paterson's Roads; Being an Entirely Original and Accurate Description of all the Direct and Principal Cross Roads in England and Wales, with Part of the Roads of Scotland"
By Daniel Paterson and Edward Mogg, this map is from the 1826 edition. 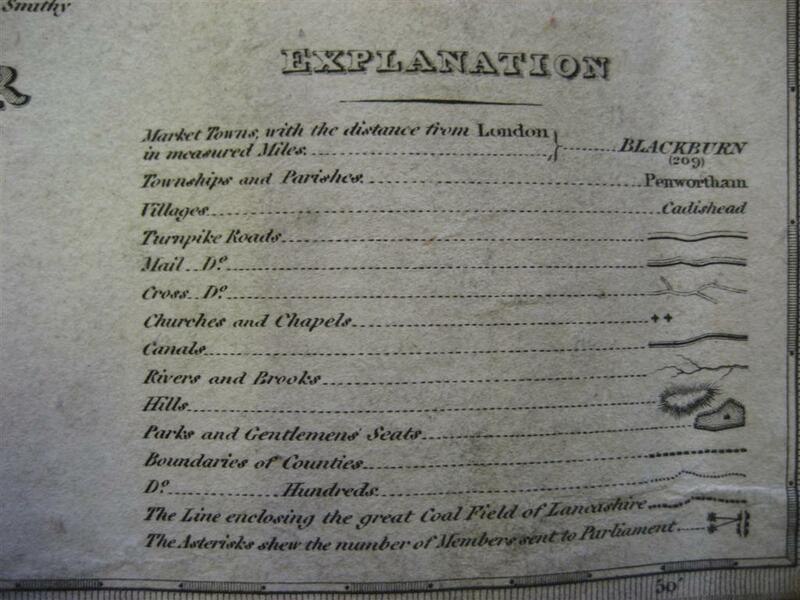 I found the map on its own in a junk shop - the books can be found in county archive offices, and occasionally libraries. 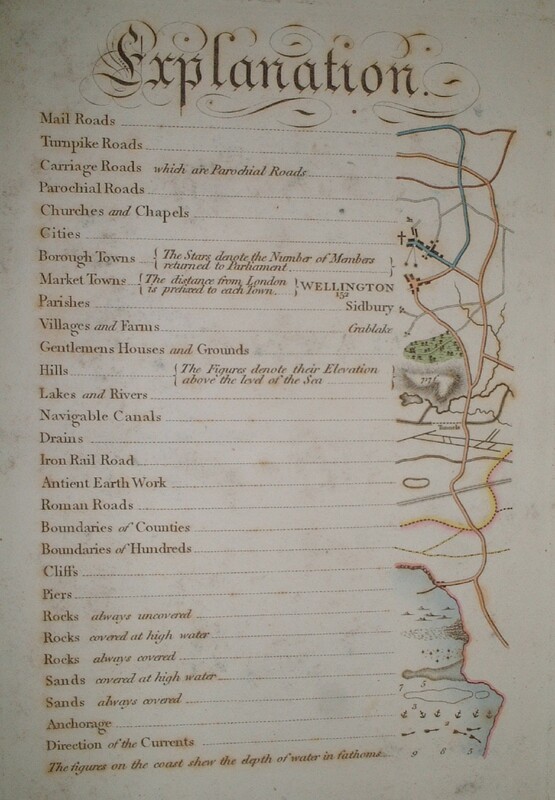 They have excellent descriptions of the roads of the country. 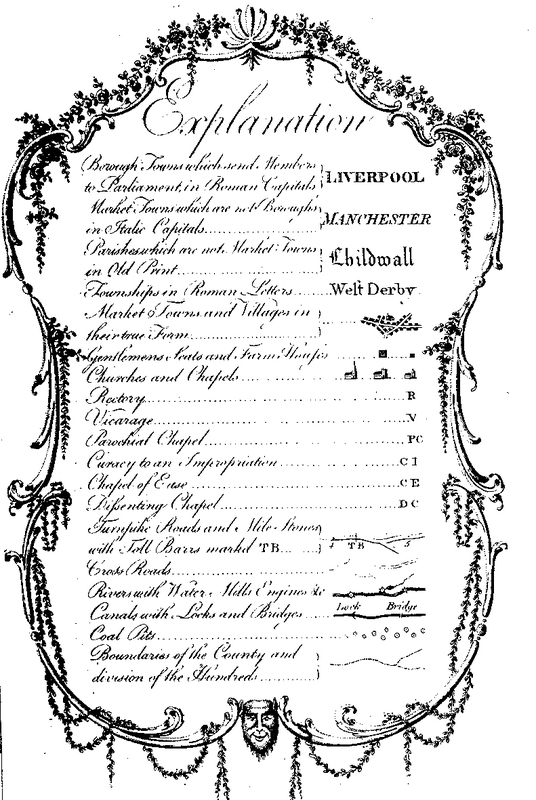 Google Books have digitised it here. 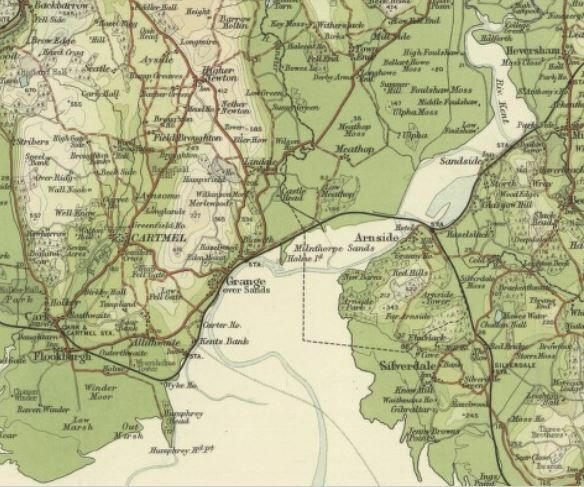 They contain large maps of the country and then more detailed maps of the local area. 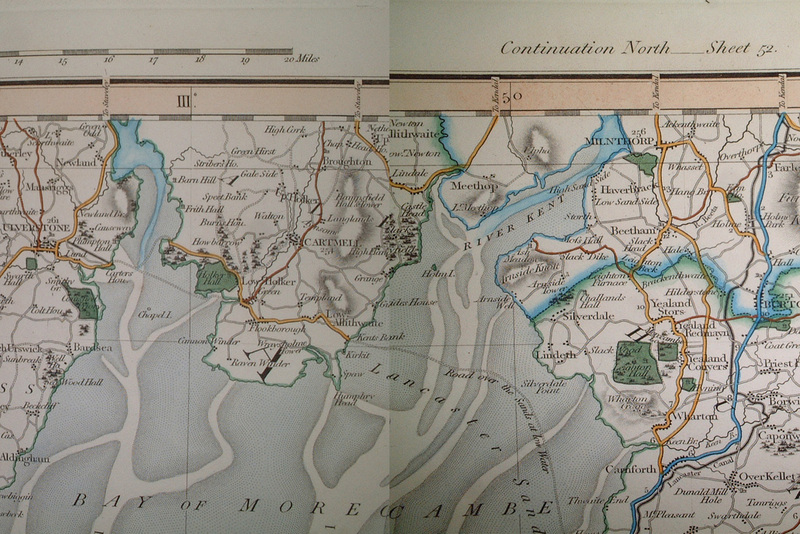 for instance, the one still in Carlisle library has the Lake District map - orientated with north to the left. 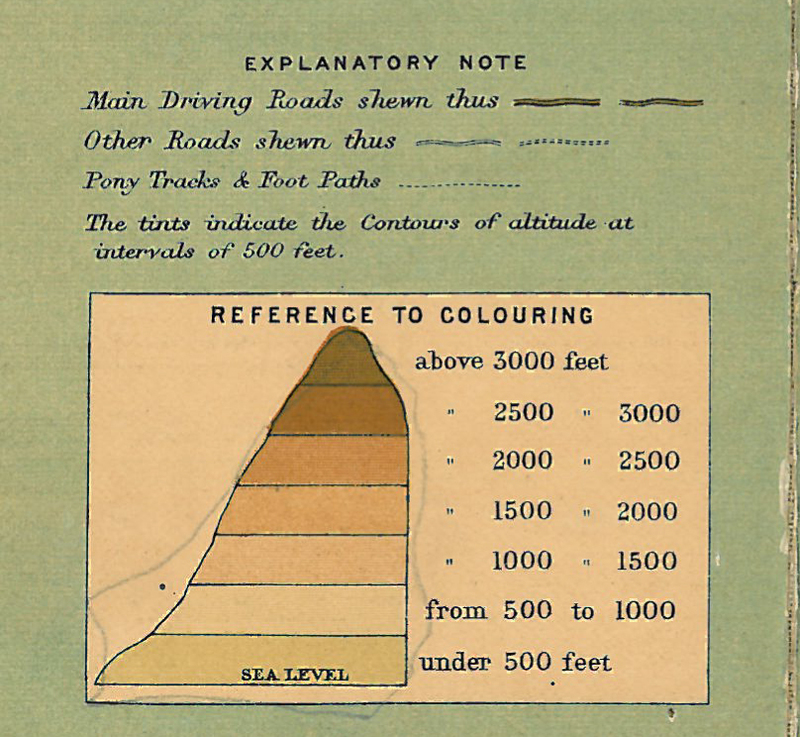 A fairly basic map - very generalised in its depiction of roads and features. 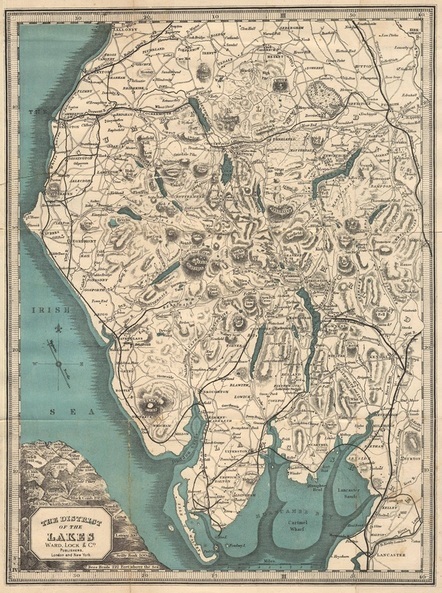 Christopher Greenwood was one of the most respected map makers of his time, and produced county maps for much of England. 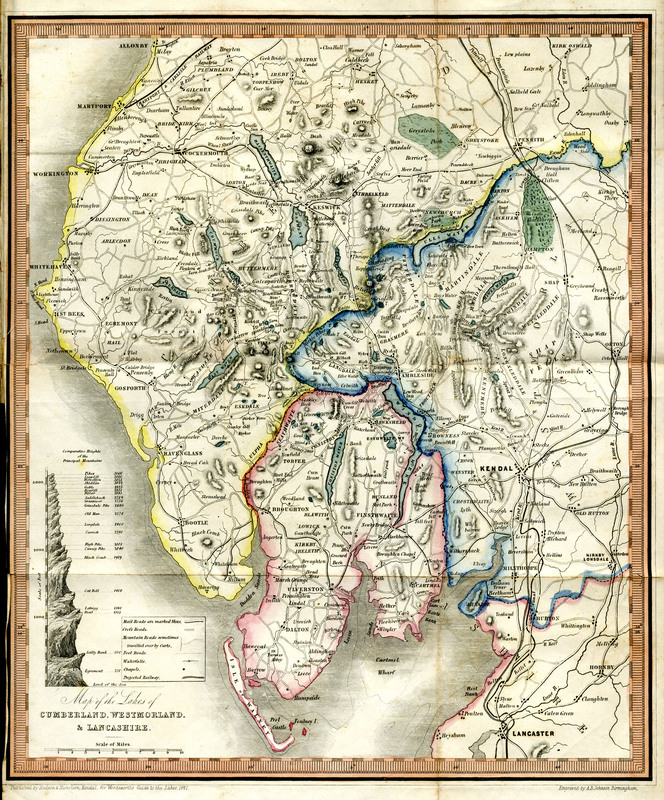 His early nineteenth century maps of the area are generally reckoned to be the best of their era for accuracy - both in what they showed and in their measurement and scaling. 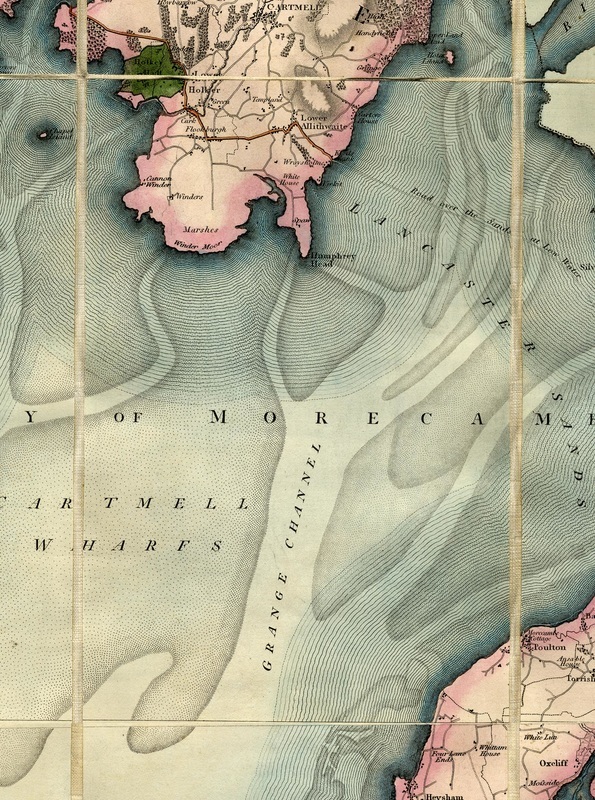 Quite simply - John Cary was THE mapmaker of his time. He was appointed by the Postmaster General and also produced maps for the Ordnance Survey. 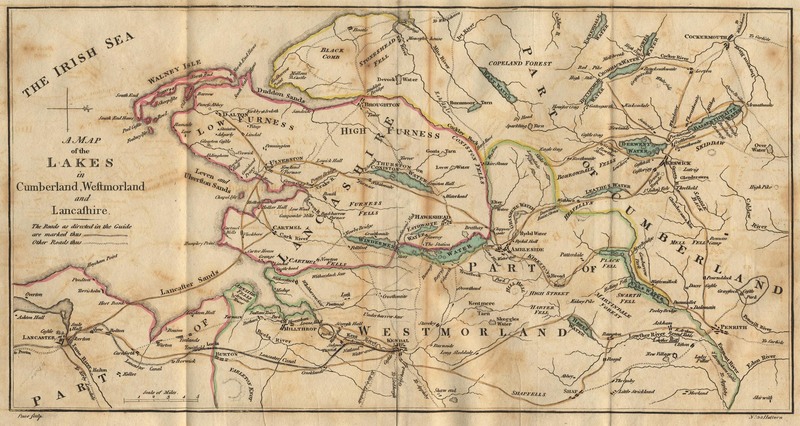 The ones around 1830 are of very high quality and accuracy - and can be overlaid on modern maps with surprising ease. Click on map or key to enlarge. 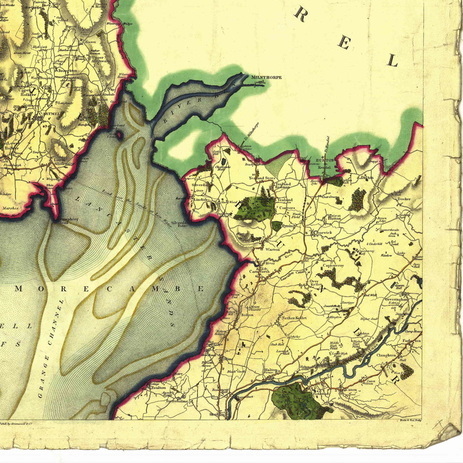 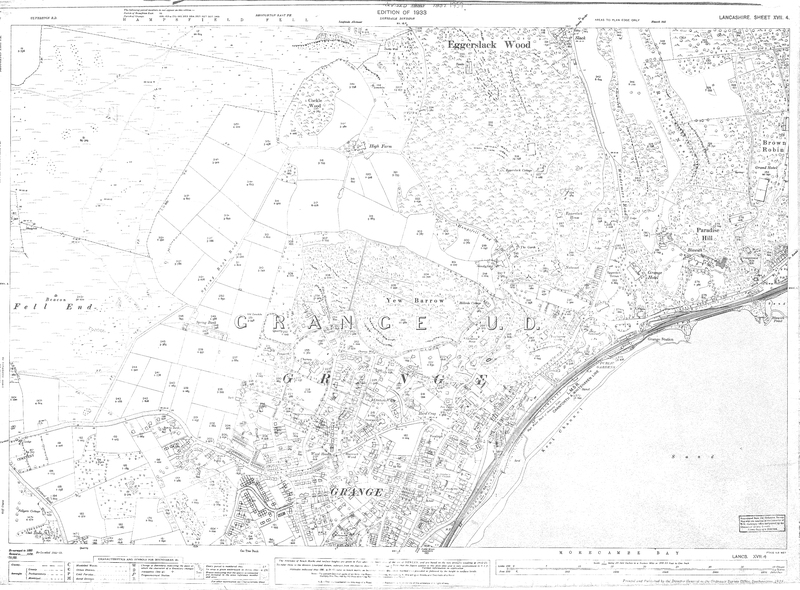 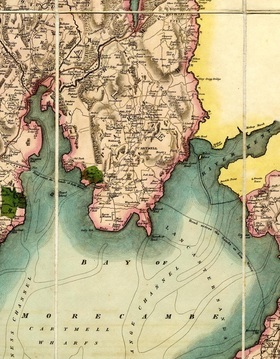 A really good resource is the Vision of Britain website - where you can scan in on some early Ordnance Survey maps by entering a Grange-over-Sands postcode. 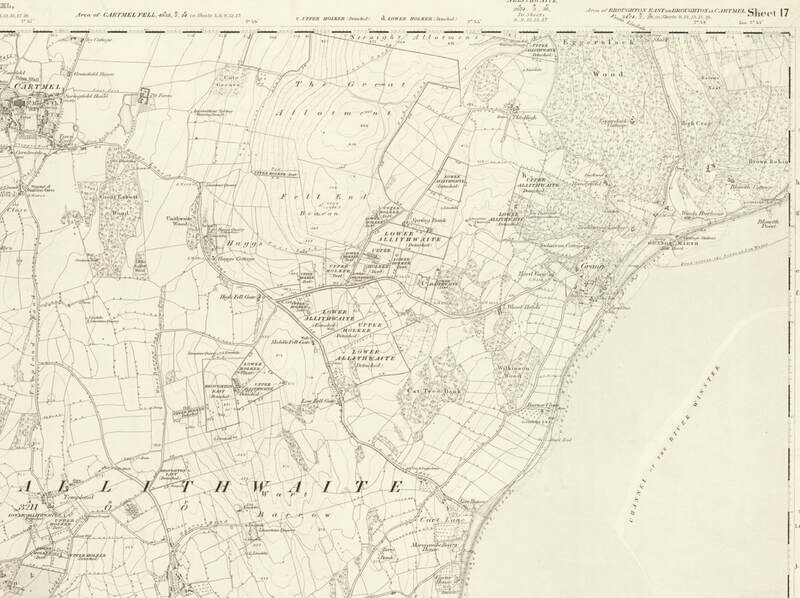 Also - try out the National Library of Scotland Website - the quality is excellent, and most OS maps from 1840 to 1940 are there. This is the earliest Ordnance Survey Map, scanned from a book. 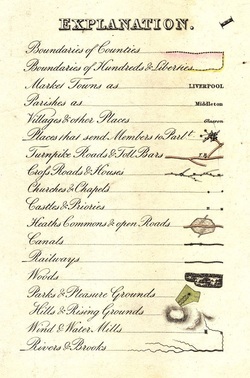 The next edition (1851 - below), produced very quickly afterwards showed the railway - even though it hadn't yet been built. 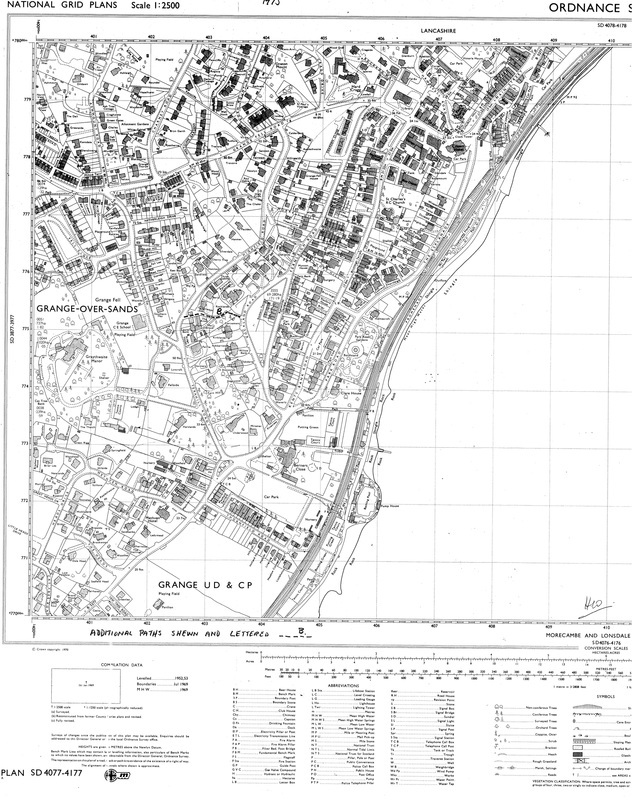 The best place to look for copies of old OS maps is the county record offices in Barrow and Kendal. 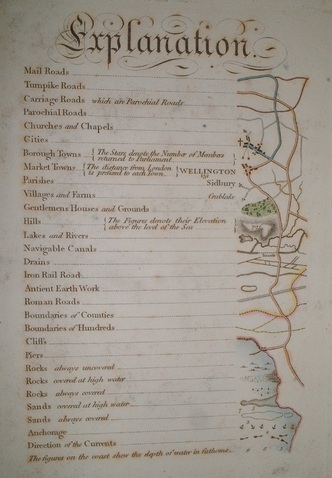 Ward Lock published books for tourists for many areas. In the Lake District they published their own initially, and then took over Baddeley's Thorough Guides and merged them. 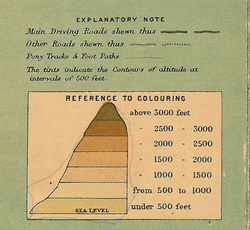 They were known as the 'Red Guide'. 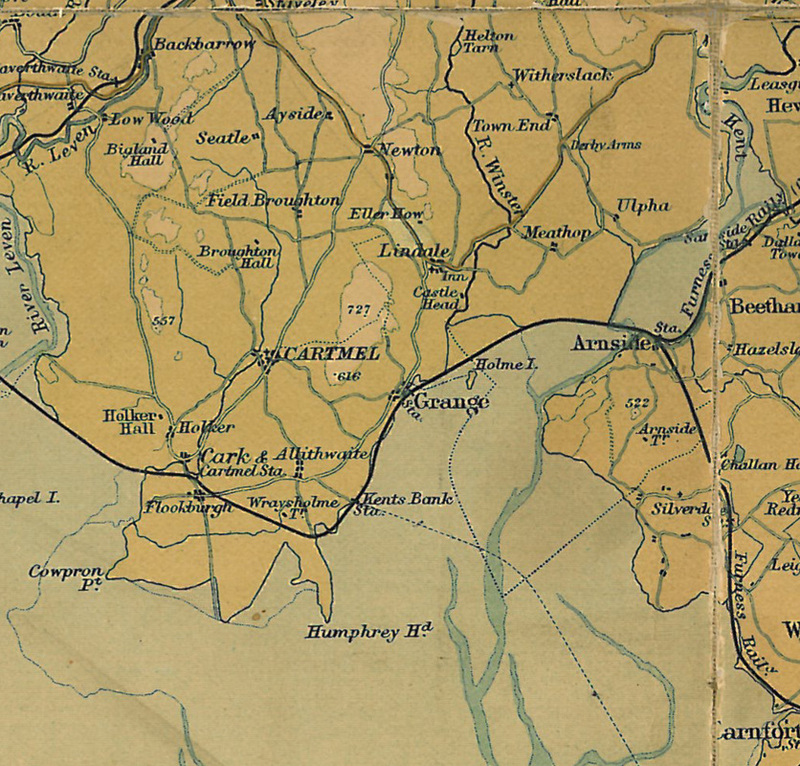 The 1892 book had a particularly good map. 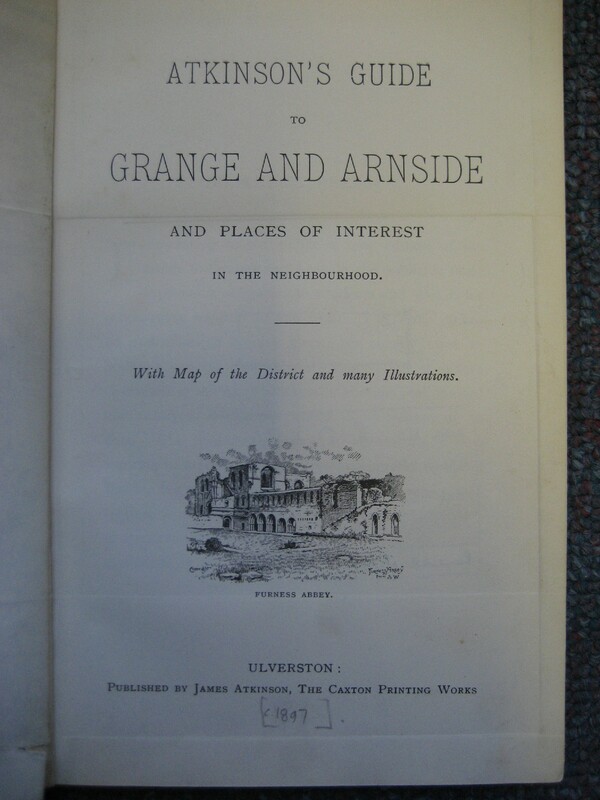 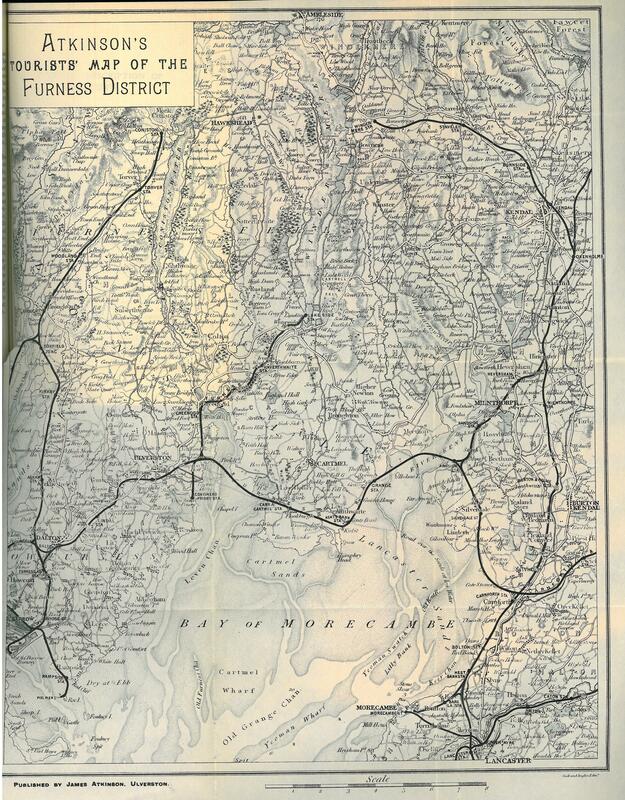 Guide book to Grange & Arnside, with map. 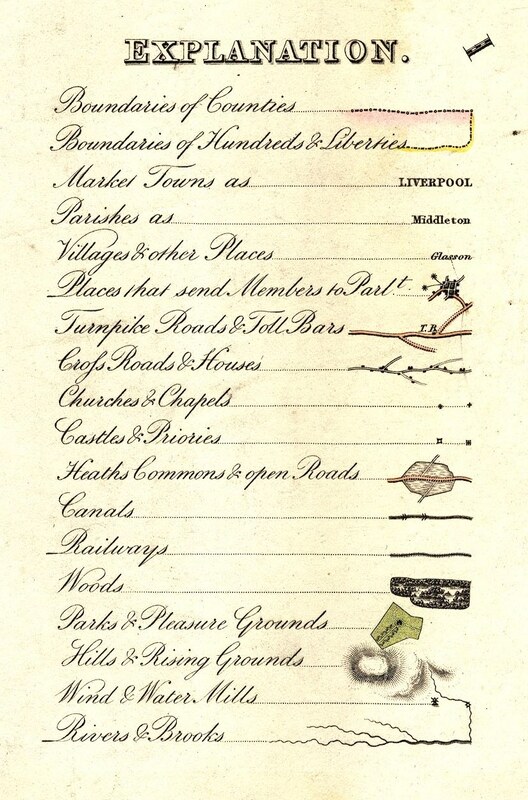 One of the first produced after the coming of the railway. 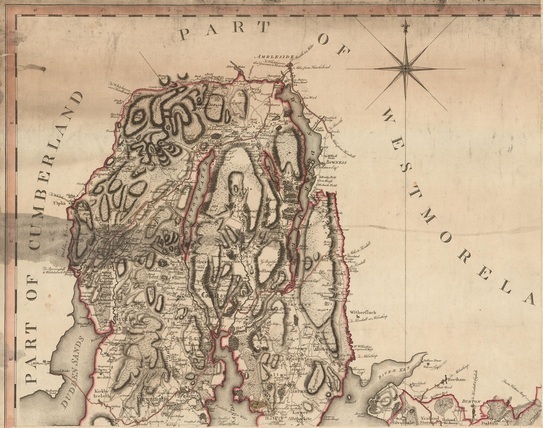 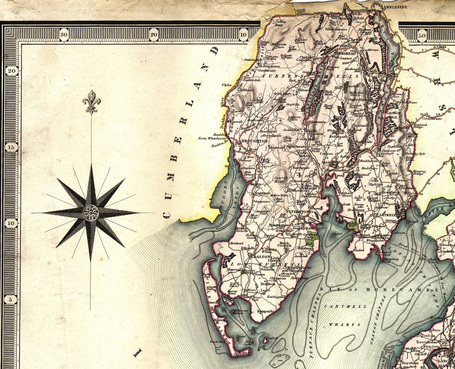 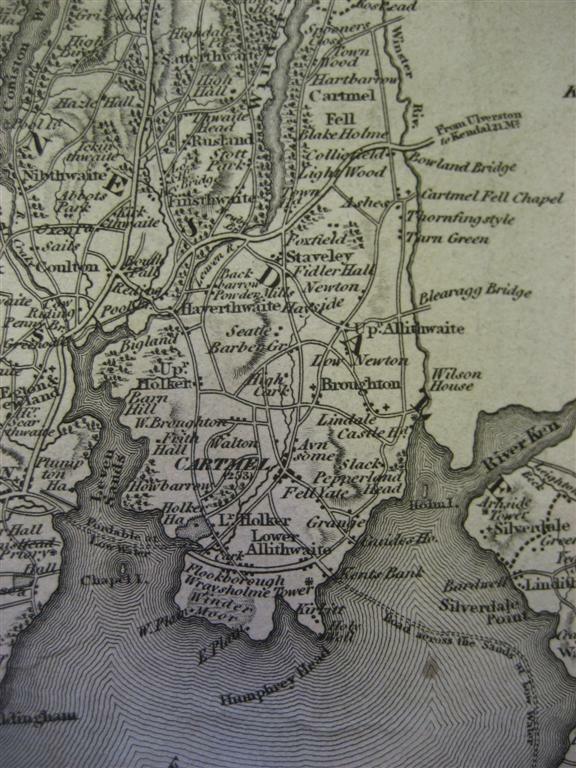 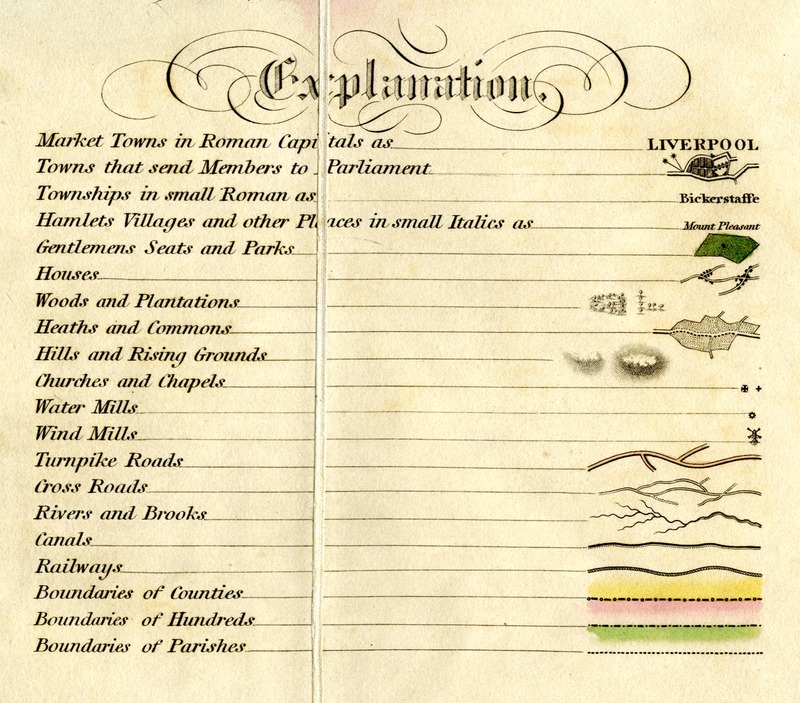 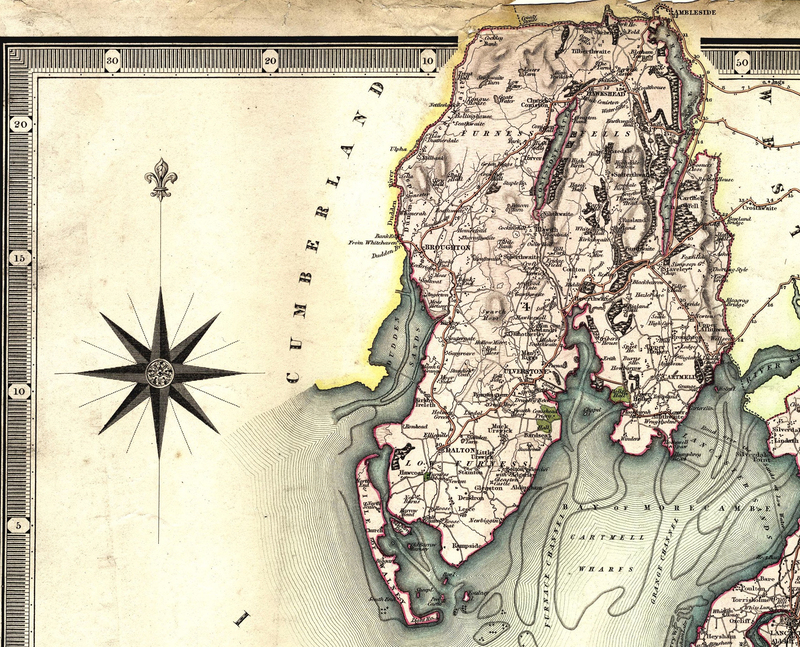 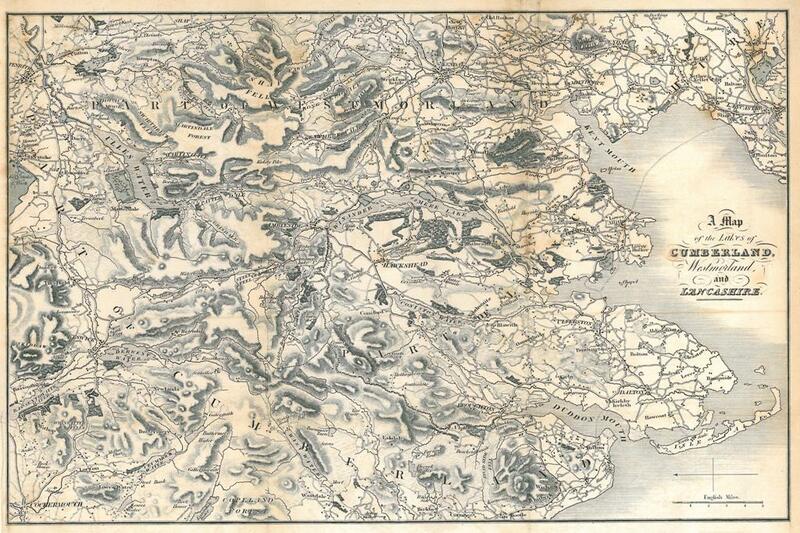 ​John Bartholomew produced maps countrywide, of high quality. 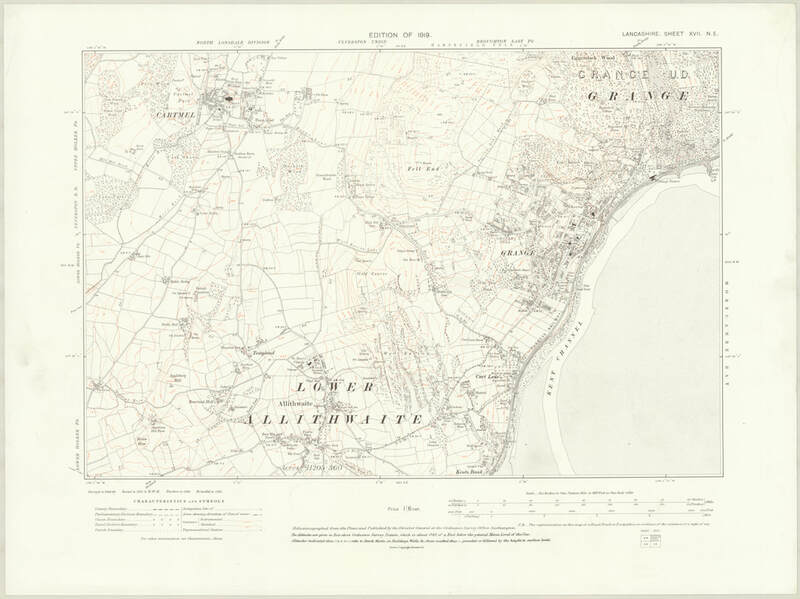 Many were copies from OS maps. 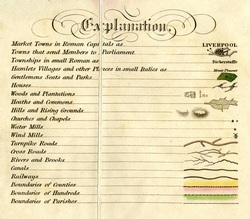 There were numerous repeat editions, all aimed at different markets. 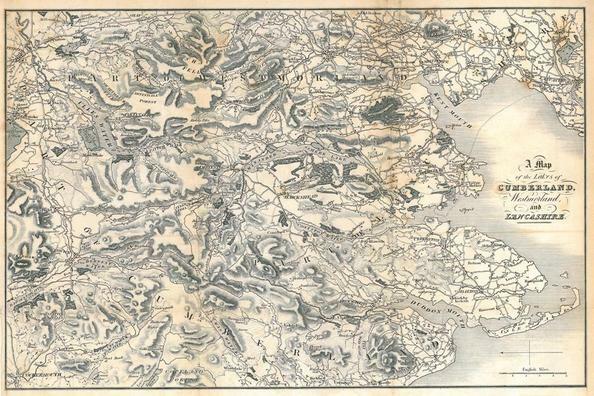 This one is from 1905.